AB InBev has developed a nutrient-rich breakfast drink based on dry grain residues from brewing beer. So far, that draff mainly used by farmers as feed for their cattle. The breakfast drink is already on sale in the US and might also be launched in Europe. The technology was developed in AB InBev's Global Innovaton & Technology Center in Leuven, where a team also develops other food products develops on the basis of these leftover grains. Up to now 90 percent of the leftover grains were supplied to farmers for animal feed. The remaining 10 percent was disposed as waste and thrown away. The Leuven lab developed a unique process of fermentation to keep the nutritional value of the leftover grains stable and to get the nutritional values out for the human digestive system to process. 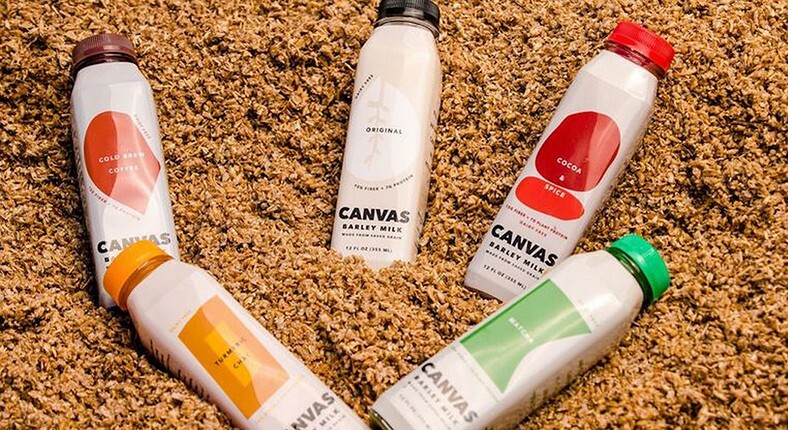 The first result is the sustainable vegetable grain drink Canvas that is currently sold in the U.S. in five variants: Original, Cocoa, Latte, Matcha, and Chai.